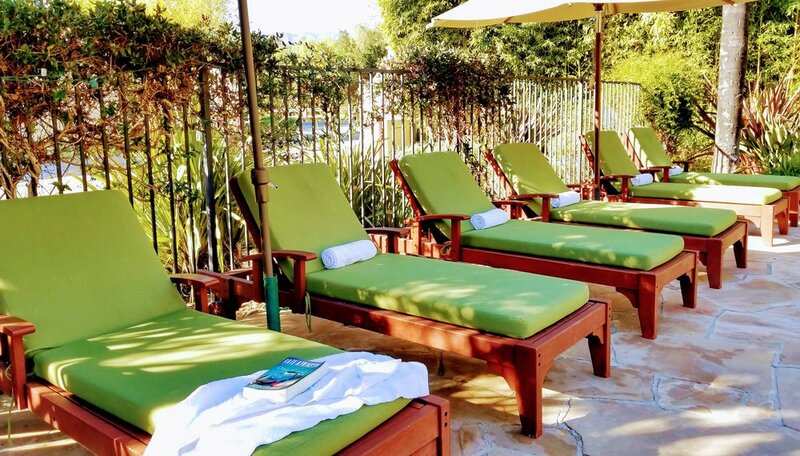 Welcoming guests for over 20 years with beautifully appointed guest rooms, lush gardens, and a courtyard pool and whirlpool spa. 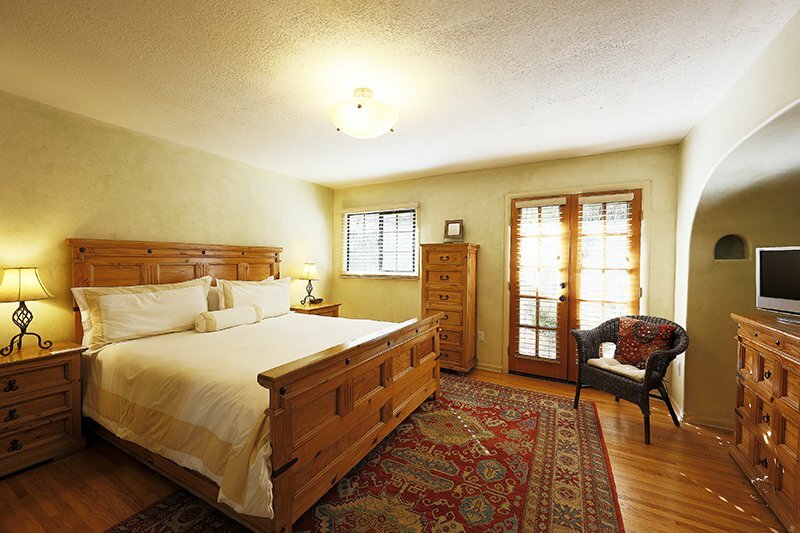 The Blue Iguana Inn exists an enclave of custom decorated guest rooms, suites and cottages. 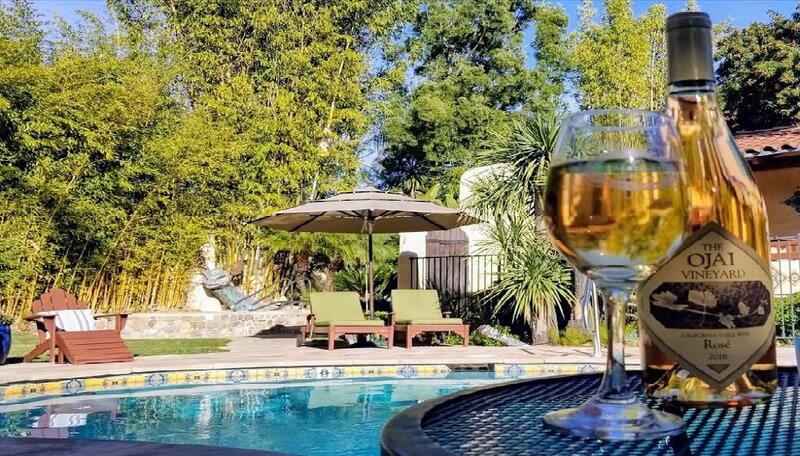 Ideally located two miles from downtown Ojai, and 12 miles from the Pacific Ocean, the Blue Iguana Inn is a cherished Central Coast destination. Enjoy our complimentary garden games, including bocce ball and croquet. Onsite bike rental is also available, and ideal for a leisure stroll on the adjacent Ojai Valley Trail. 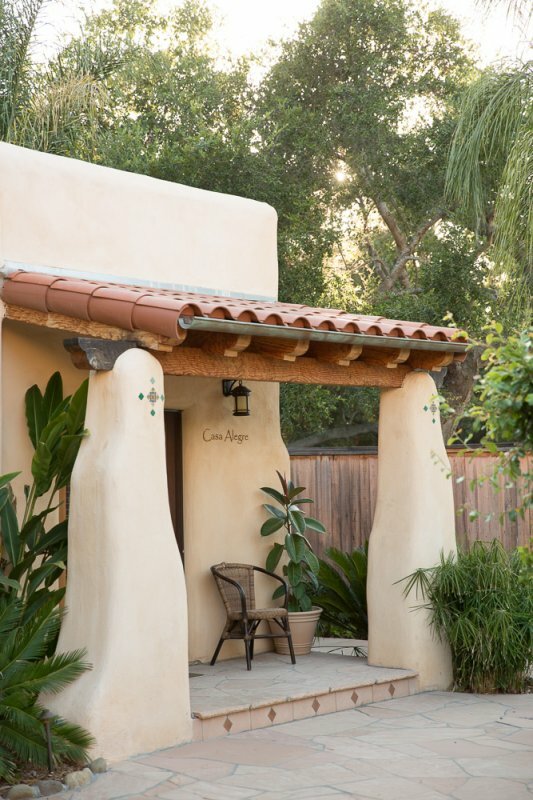 Ojai, California is the quintessential peaceful California town, bordered by Santa Barbara to the west and the spectacular Los Padres National Forest to the north. 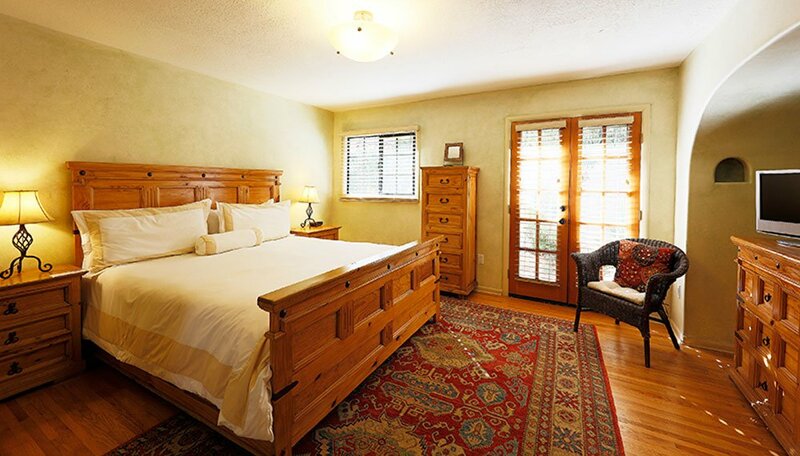 The exquisite Ojai Valley is world renowned for hiking, biking, bird watching and fishing. 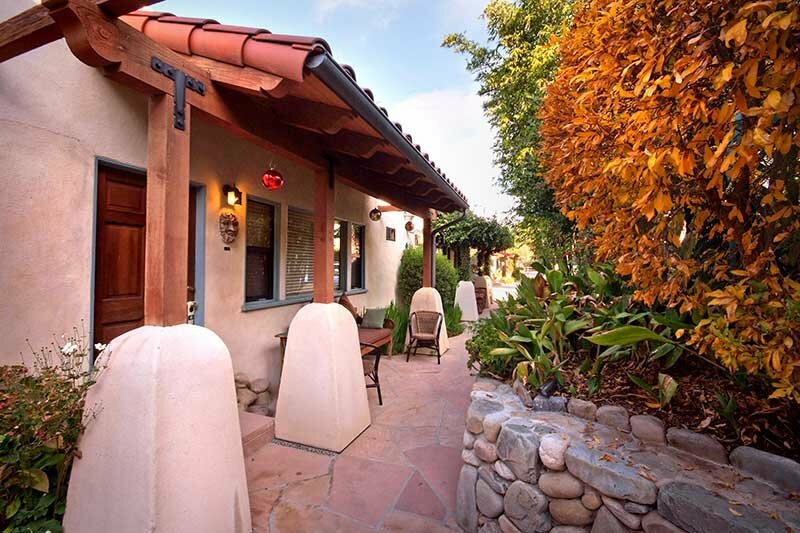 Ojai’s historic downtown charms locals and visitors with award-winning dining, wineries, art galleries, boutiques, and world-class golf courses. Ojai’s climate welcomes year-round festivals and cultural events, along with a long growing season producing the finest olives, citrus, and organic produce. 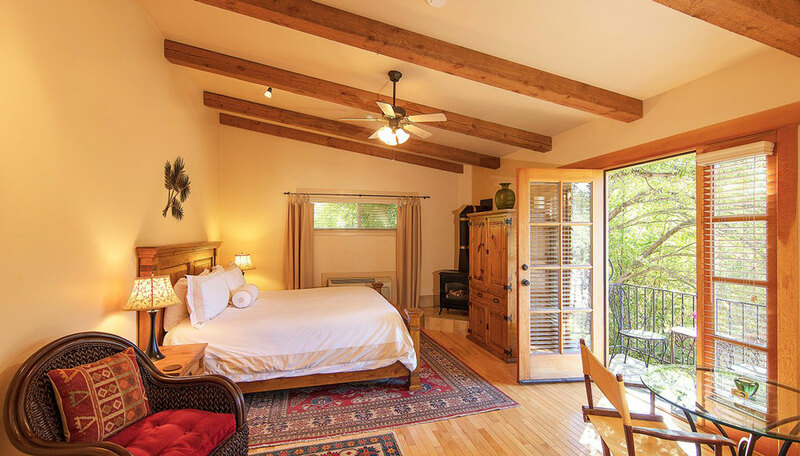 The Blue Iguana Inn Suites and Cottages offer your choice of accommodations including guest rooms, 1 and 2 bedroom suites, bungalows and luxurious vacation houses. 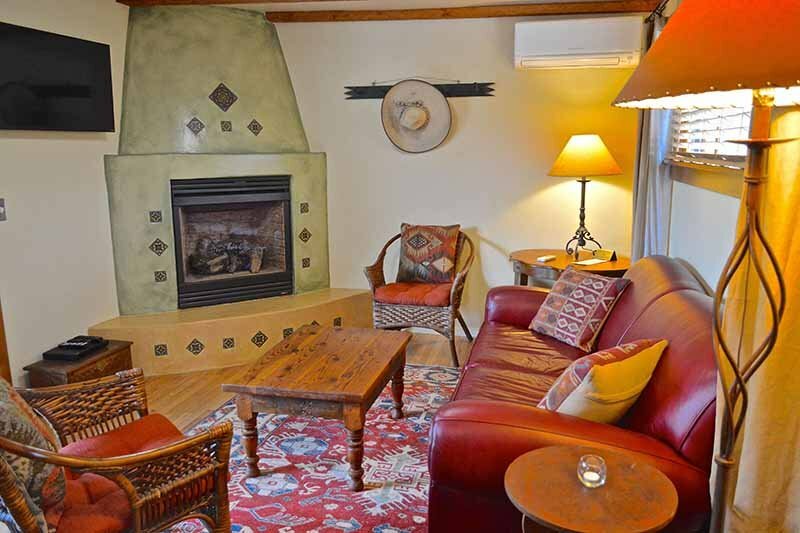 Many boast wood-burning stove fireplaces and private patios and courtyards. Spacious living rooms and full kitchens are prized amenities in most suites and cottages. First morning "Welcome Breakfast Basket"
Also visit our sister hotel The Emerald Iguana Inn for guests 14 and older.